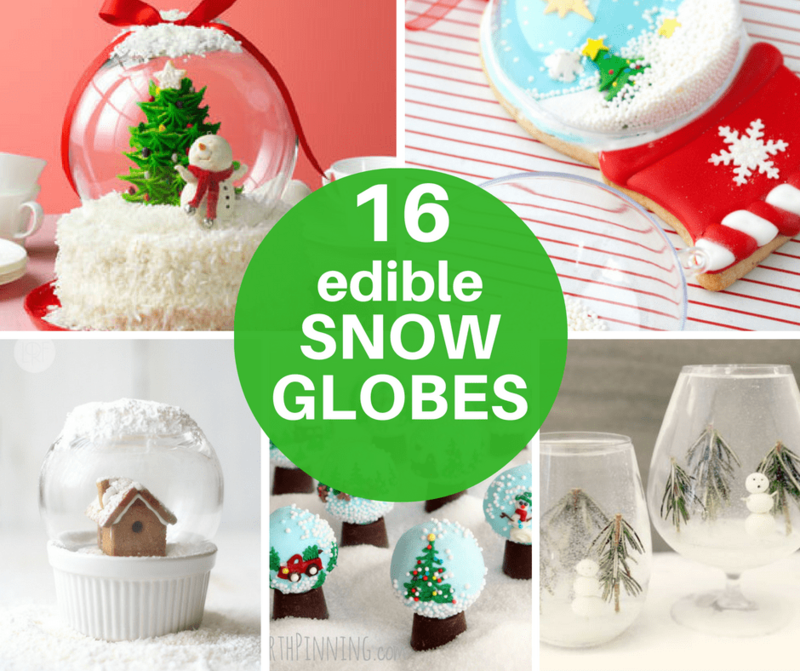 A roundup of 16 edible snowglobes. Fun food for Christmas! There are so many possibilities with food crafts. I think that’s why I love them so much. You can turn food into anything. Back when I worked as a cookie decorator, anything you name, I could say I put on a cookie. Aliens, appliances, major organs. Whatever. The world is full of inspiration. Like snowglobes. You clever folks have used the magical mini world of floating flakes as inspiration for your holiday treats and it’s gosh darn amazing. 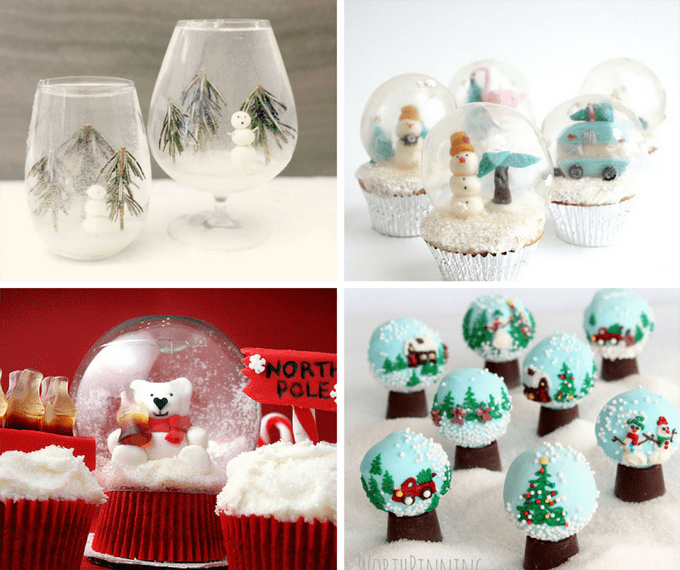 Here is a roundup of 16 edible snowglobes for the holiday season. 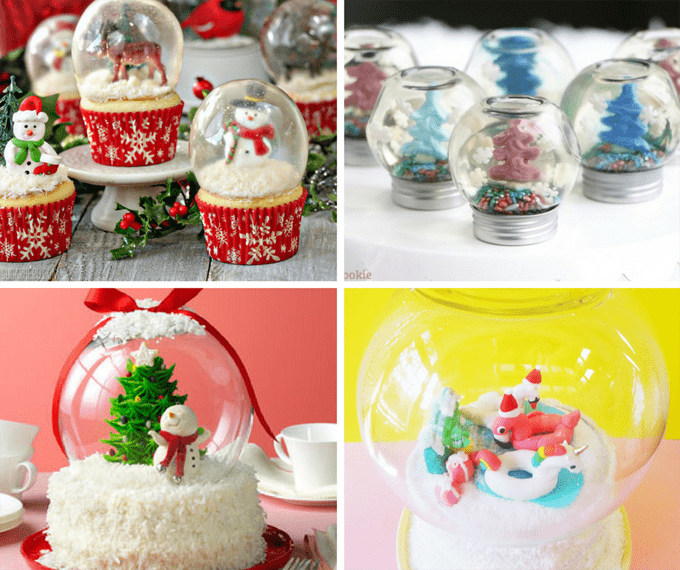 Make snowglobe cupcakes with gelatin at SugarHero! Make snowglobe Jello shots at 1 Fine Cookie. Make a snowglobe cake at Taste of Home. Or this snowglobe cake at Brit and Co. I really want a snowglobe cocktail, from Instructables. Make retro snowglobe cupcakes at Alanna Jones-Mann. Make snowglobe cupcakes with Coke bottles at bakerella. I love these snowglobe Oreo balls at Worth Pinning. Or these snowglobe cookies from Sweet Ambs. 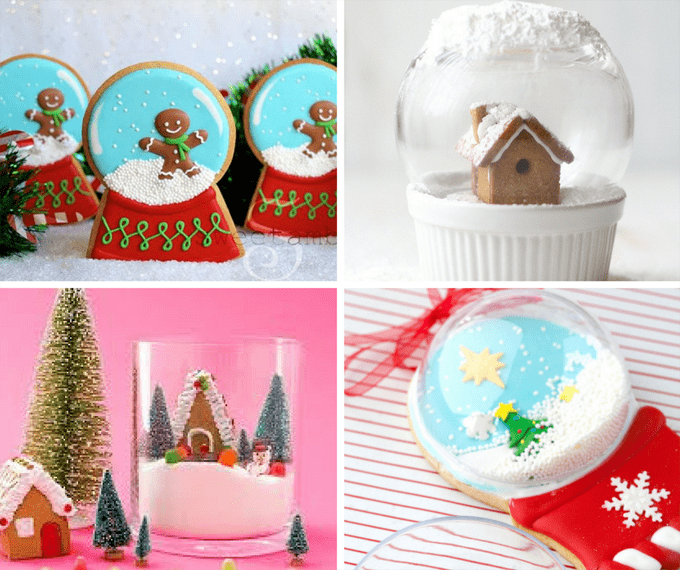 Make an edible snowglobe at Brit and Co.
Make shake-able snowglobe cookies at Sweets to Impress. Make a candy mason jar snowglobe here. Make snowflake filled snowman cookies at Hungry Happenings. Make snowglobe hot chocolate at BBC GoodFood. 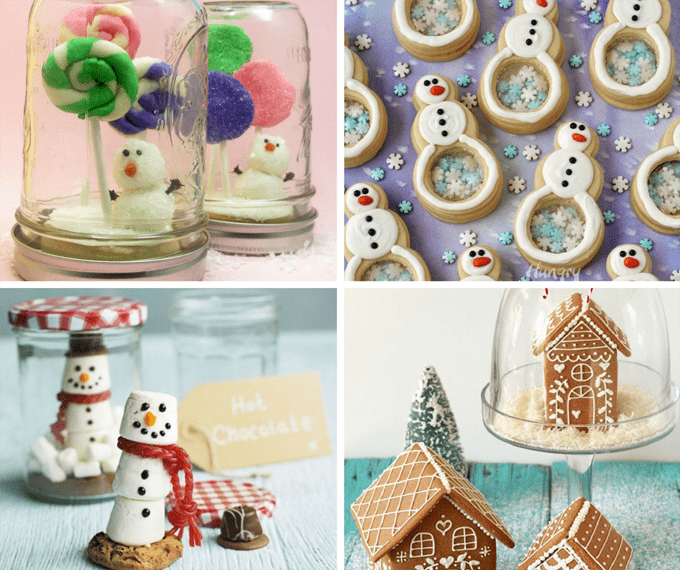 Make gingerbread house snowglobes at Butter Hearts Sugar.